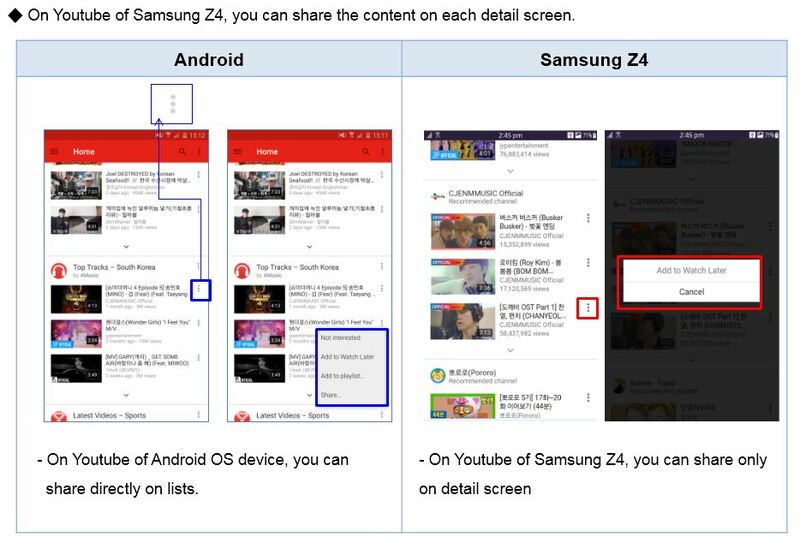 What is the difference on Youtube on Samsung Z4 compared to Samsung Android? 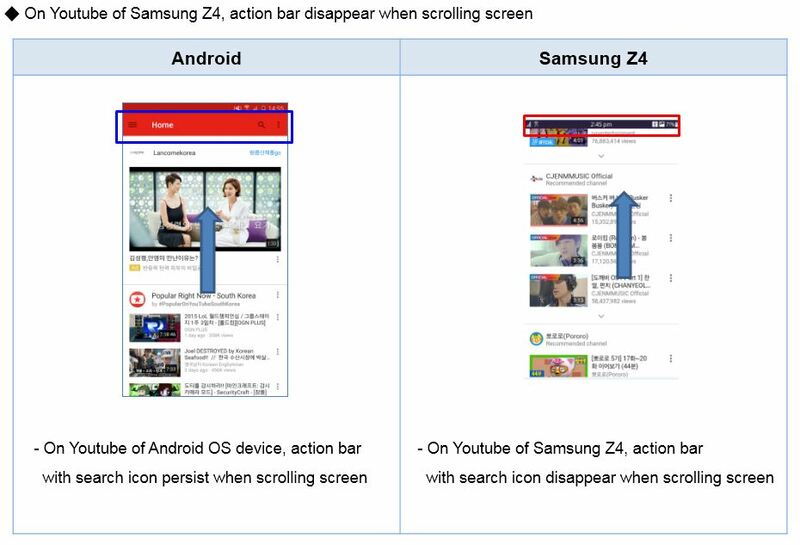 What is the difference in Twitter on Samsung Z4 compared to Samsung Android? Which Apps are supported on Landscape mode? 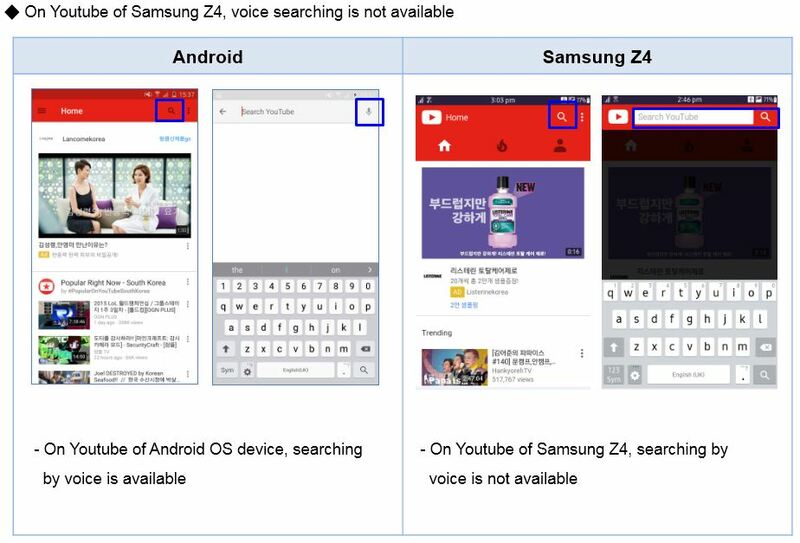 What is the difference between Popup location on Samsung Z4 and Samsung Android?